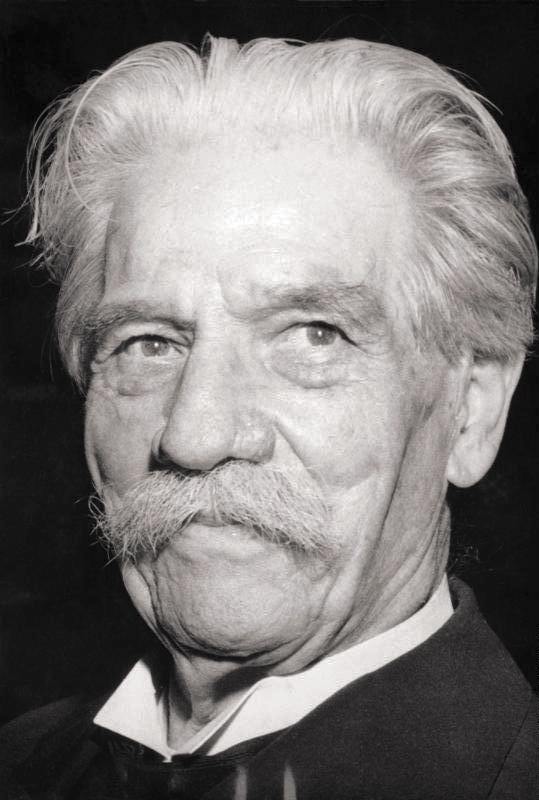 Albert Schweitzer, OM (14 January 1875 – 4 September 1965) was an Alsatian polymath. He was a theologian, organist, writer, humanitarian, philosopher, and physician. A Lutheran, Schweitzer challenged both the secular view of Jesus as depicted by the historical-critical method current at this time, as well as the traditional Christian view. His contributions to the interpretation of Pauline Christianity concern the role of Paul's mysticism of "being in Christ" as primary and the doctrine of Justification by Faith as secondary. Very little of the great cruelty shown by men can really be attributed to cruel instinct. Most of it comes from thoughtlessness or inherited habit.The roots of cruelty, therefore, are not so much strong as widespread.But the time must come when inhumanity protected by custom and thoughtlessness will succumb before humanity championed by thought. A man who possesses a veneration of life will not simply say his prayers. He will throw himself into the battle to preserve life, if for no other reason than that he himself is an extension of life around him. It was quite incomprehensible to me …why in my evening prayers I should pray for human beings only. So when my mother had prayed with me and had kissed me goodnight, I used to add silently a prayer that I had composed myself for all living creatures. It ran thus: "O Heavenly Father, protect and bless all things that have breath; guard them from all evil, and let them sleep in peace. " You must learn to understand the secret of gratitude. It is more than just so-called virtue. It is revealed to you as a mysterious law of existence. In obedience to it we have to fulfill our destiny. You know of the disease called "sleeping sickness." There also exists a sleeping sickness of the soul. Its most dangerous aspect is that one is unaware of its coming. That is why you have to be careful. As soon as you notice the slightest sign of indifference, the moment you become aware of the loss of a certain seriousness, of longing, of enthusiasm and zest, take it as a warning. Your soul suffers if you live superficially. Just as the water of the streams we see is small in amount compared to that which flows underground, so the idealism which becomes visible is small in amount compared with what men and women bear locked in their hearts. . . . To unbind what is bound, to bring the underground waters to the surface: mankind is waiting and longing for such as can do that.